The people of Polk County voted, and The Best of the Best of Polk’s businesses were revealed at a banquet in September. 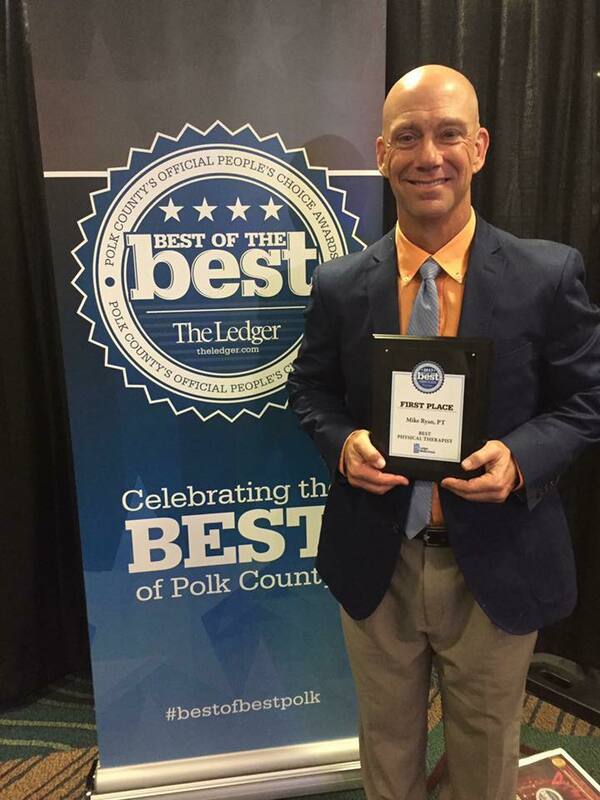 Mike Ryan, owner and President of Leading Edge Physical Therapy, was voted as the #1 Physical Therapist in Polk County! Best of the Best is The Ledger’s way of honoring the local businesses and individuals across Polk County who have been recognized by community members as being the best in their respective industries.